A few days ago, I had the pleasure to receive at the store a guy that seems to always be in a good mood and adorns a great friendly smile with every word he says. Definitely the type of guy that you can only like and befriend on site. His name is Christian Dalbavie. I met him in 2008 during a 5-6 days trip to Bordeaux, where we visited quite a few Chateaux around St. Emilion and Pomerol and also the Négociant Company of Jean-Luc Thunevin, a few people from the Wine trade of New York including myself and about 3 or 4 of the staff + the owner of T-Edward, the distributor of some Jean-Luc Thunevin’s wines in NYC. It was a great trip and despite the wines, which were ok to good to great for rare few, the most memorable souvenir was (and still is) the outrageously good “cuisine” of Jean-Luc’s wife. Murielle cooked everyday for our group, which was oscillating, depending on the day and the numerous guests of Jean-Luc, between 10 to 20 people. Murielle Andraud is an energetic and lively brunette who, on top of being a great and busy chef, personally supervises the care of the 4.5 hectares of vineyards at Château Valandraud. Great hosts, Jean-Luc and Murielle received us like Kings and, somehow, allowed me to, once more, better try to comprehend a world usually difficult of access: Bordeaux. Yet that said, the right bank is much more welcoming than the Bourgeois, Aristocratic left bank. Yet again, there are good and bad on both sides. I know it for a fact, I spent more than 15 years going to Bordeaux every year, around the end of Mars – beginning of April, to participate to the “En Primeur” campaign and taste at the barrel, with Chateaux owners and winemakers, in their various cellars and “Carrière de pierre”(anciently carved limestone cave from which the sculpted stone blocks where used to built entire towns like Saint-Emilion and Bordeaux, just to name the most famous of the Gironde departement). I even had the chance to talk with these owners and winemakers at countless occasions during lunches and dinners at the Chateaux or during some of the reunion/dinner of one or the other, amongst the many “Confréries” de Bordeaux. Therefore, all these words just to say that I think that I know the “Bordelais” pretty well, being one myself and moreover being the grandson of a late winemaker from the Right Bank, and I can say that despite beautiful host manners and a certain cozy “savoir-vivre”, Bordeaux and the Bordelais have the reputation of being closed to the outside world, especially when it comes to wine; like kings in their castles. Yet, it is very true that Bordeaux benefits of an ideal geographical position and enjoyable life and vine growing factors, proudly and jealously guarded by the Bordelais: some of the best wines in the world and rich, exceptional food recipes (Oysters, Foie Gras, Truffles, Lamb of Pauillac, Lamproie à la Bordelaise, etc); kilometers of wild beaches; proximity with the Jet-set's best kept secret riviera of the southwest of France: Lège-Cap-Ferret, and consequently the "Bassin d'Arcachon", famous for its oysters park, cute fisherman villages, quiet sailing route and of course, "Les cabanes tchanquées": the famous huts built on stilts in the middle of the bassin, on the main island called "l'île aux oiseaux", often seen on Bordeaux postcards. Add to all of these, the fact that Bordeaux is only about 2 hours and a half from the closest Ski resort in the Pyrennees and about the same time from Basque country capital Donostian-San Sebastiàn in Spain, and you will immediately understand why Bordelais love their region and their town, which has the magical way of being amongst the 10th largest cities in France in term of population, yet it feels like a tranquil, respectable village in a middle of an ocean vines. Yes, the Bordelais can be proud and protective of their region and more especially of their classic XVIII century style town Bordeaux the magnificent, which, since June 2007, is classified as world patrimony by UNESCO. However, enough about Bordeaux, let's go back to Roussillon and Christian Dalbavie. So, here he came, all smiling and joking, as he entered the store with Alison from Domaine Select, a Wine distributing company in NYC. He told me: “Long time no see! Since 2008 during the Bordeaux trip with Jean-Luc, if I’m correct.” It took me a minute to replace him in the many draws of my legendary bad memory for names and faces. Yet, once I recognized him, everything came back right away. And talking a few words about the past, we directly went in the back of the store to taste a few wines. 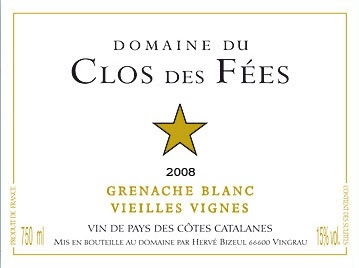 A long timer in the Music and Showbiz industry, Christian, who has only been working in the wine trade for the last few years, explains that he recently put his own wine distribution company together and now, amongst other, represents the wines of “Clos des Fées” in his portfolio. He told me that Hervé Bizeul, the owner of Clos des Fées, should have been here with us to introduce his wines. But unfortunately, due to a non-conventional passport and total refusal from B.A. to accept him in the plane for possession of non-updated-non-biometric passport, which, by the way have been in place since Ben Laden events occurred (but he didn’t know, I guess), totally missed the flight departure and was forced to stay in France, while 15 days of organized appointments, hotel’s rooms, lunches and dinners and a lot of anticipation from devoted awaiting fans crumbled in a few minutes to a disappointing end. However, "Too bad" and "Tampis" if Hervé Bizeul had to stay in France, hoping that he is updating his passport for next time; because fortunately, Christian was here with the wines for me to taste! And at the end of the day, even if I would have like very much to have an interesting discussion with Hervé about his wines “et tout le tralala” orbiting around them, the words that best described his wines and his qualities as a winemaker were the ones that I formulated during the tasting of each of his wines that afternoon, after being dissected by my taste buds and my uncompromising palate. Tasting is always a revealing beacon of the personality of each tasted wines but also of the winemaker behind them. And to be sure that it is true, that’s what Alison, Christian and myself did. We tasted 6 wines that were quite extraordinary well crafted. And I loved them so much that I bought all 6 of them. Four of them were from "Clos des Fées" and that is when I realized that it will have been great if Hervé Bizeul could have been with us in person to talk about his wines; because I first had a lot of questions to ask him; and secondly if the quality and the character of his wines reflect his personality and the personage in general, then he must be someone worth spending time with. Therefore with this post, and a little “pensée” for Hervé, who must be pretty pissed off that he had to stay in France instead of coming to New York (and the rest of the USA) to promote his wines, from what I could read on his blog at http://www.closdesfees.com/blog-herve-bizeul/… I will describe and share with you this amazing experience from “Clos des Fées”, a real revelation for my taste buds. For the store purpose, I will insist a bit more at the end on "Walden", a wine that I just used for the Wine of the Month Selection of this month, February 2011. I have always said that Roussillon lives in the Shadow of Languedoc, due to the fact that people in general do not know how to differentiate Languedoc from Roussillon. Also because usually, like the generic name of the Appellation implies it, and for for most people understanding, Languedoc and Roussillon both go in the same bag. It has definitely something to do with the fact that Languedoc is much larger, covering about 4 départements (Aude, Hérault, Gard and Lozère), while Roussillon covers only one (Pyrenees-Orientales). Therefore, Languedoc is generating, in many ways, much more interest and press than Roussillon. It is also due to the fact that the wines from Roussillon are less marketed and less known than the ones from Languedoc. Appellation’s names like Collioure, Banyuls, Rivesaltes, Maury or even Tautavel are somehow very obscures for most novices and amateurs, compared to Faugères, Saint-Chinian, La Clape, Minervois and so on. 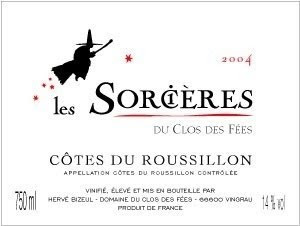 Even Côtes du Roussillon and Côtes du Roussillon Villages label, which is granted to 25 villages along the Agly river, don't get the recognition that they deserve. Except for Banyuls and Collioure, both small fisherman villages nearly touching the Spanish border and over-crowded with tourists all summer long, the rest of Roussillon is rather unknown and remain somewhat wild and undiscovered. Yet, Roussillon, which represents the most southern region of France, bordering Spain and sharing the Catalan culture with its neighbor, has experienced a real renaissance over the last decade and really deserve a bit more attention. The eastern foothills of the Pyrenees melting into the Mediterranean Sea under the scorching sun, constantly swept by the fierce and forceful “Tramontane”, a strong, dry cold wind from the northwest going down to Spain, may not seems to be a very welcoming place. Yet, recently, it attracted more young and adventurous minds, which decided against all odds to make this place home and give it a chance, found it a certain charm and achieved hard work and perseverance to tame its temper and nature. Thanks to them, Roussillon has evolved for the better. The cave cooperatives still exist, but a new generation of winemakers freshly arrived exhibits talent, initiative and innovation, with utmost respect for the environment. They also favor bottling at the property and emphasize low yield and natural methods, which definitely marked a new beginning and the revival of the quality rather than the quantity. Although low yield has always been the credo of the Roussillon region, so I'm not so sure if we can talk quantity within the same terms, numbers and extreme measures as in Languedoc for example, where over-production was a lifemotive for decades before changes happened in the last 10-15 years. Hervé Bizeul was one of these newcomers that had and still has great influence on the development of the region. One of these beneficent souls who in 1997 decided to venture on the road of estate-running and winemaking in the harsh, scorched and rocky land of Roussillon. 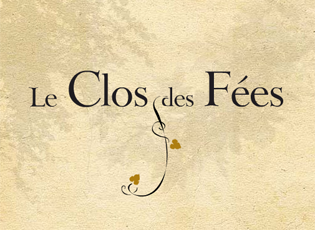 He created the world-renowned “Domaine du Clos des Fées”. 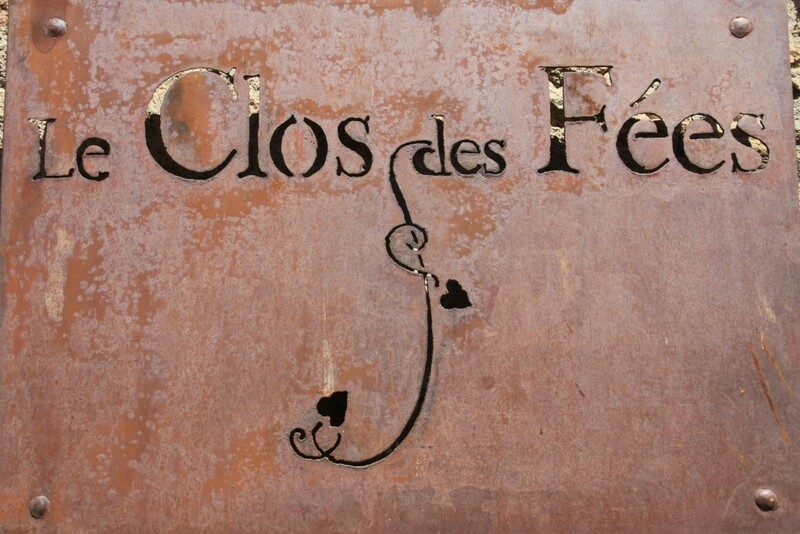 Domaine du Clos des Fées is located in Vingrau, a small mountainous village about 29 kilometers northwest of Perpignan and about 5.5 kilometers northeast of Tautavel, part of the Roussillon wine region, in the eastern foothills of the Pyrenees-Orientales. Celebrated sommelier and wine journalist Herve Bizeul (Best Sommelier in France in 1981), came back to Roussillon in 1997 to buy small plots of land and vineyards scattered with nearly abandoned twisted looking old vines (they all look like that at first glance if you are not used to it, but these old ladies have resisted trough time, strong wind and harsh climate for years, hence their perfect adaptation to the rude conditions makes that twisted look rather healthy and robust). After two years of hard work, trials, experiences, ups and downs, toughen hands and body aches, he came to the realization that winemaking was his passion and the main goal of his life, aiming to produce great wines. Therefore, in 1999, with courage, passion and a lot of determination, he firmly established his estate in the little Roussillon village of Vingrau, converting his garage into a small winery for his first vintage. From only a few hectares at the beginning and barely no money in the pocket, through hard efforts and research of consistency and quality, the estate has now reached a staggering 27 hectares of vines, encompassing 125 tiny sites in several distinct Terroirs in Roussillon, some as much as 15 kilometers apart from each other, with vines averaging 60 year old. The myriad of subsoil ranging from granite to schist to limestone to small pebbles reflect the incredible diversity of the vineyards that are planted with old vine (up to 100 years old) Grenache Blanc, Grenache Rouge, Syrah, Carignan and Mourvèdre. Herve's vision was quickly recognized: in 2002, Gault et Millau's "Best Newcomer" in 2003, and Revue du Vin de France's Number One in Roussillon in 2005. Today, the wines are some of the most sought after in France and reflect Herve's passion and philosophy for life and for great wine. A blend of hand-harvested and carefully sorted 90% Grenache Blanc from a plot of 2.5 hectares that has some of the oldest vines of the state (over 100 years) and 10% Grenache Gris, both planted on limestone-clay soils at an altitude between 200 and 400 meters, mainly facing north and west. Fermentation occurred in stainless steel for the Grenache Blanc and in two-years old barrel for the Grenache Gris with regular stirring. Then the wine matured on its lees for roughly 8 months after malolactic fermentation, to add flavors, texture and structure. Fining and filtering occurred before bottling. Pass the pale yellow gold color, the expressive nose is very mineral with aromas of yellow apple, peach and white blossom. The palate is rather fat, ripe, complex, and long and somewhat viscous with the same type of flavors of peach and yellow core fruit enhanced by great minerality and excellent balance. The lingering finish is very well structured and inviting. This wine calls for another glass right away. I love it. Other than the usual grilled fish and succulent Mediterranean fish dishes that you can find in the Roussillon, especially in the postcard villages of Collioure and Banyuls near the border of Spain; this wine definitely can stand white meat dishes too, like poultry, game, and veal and of course roasted chicken and cheese. A blend of 35% Carignan Noir and 35% Grenache Noir from old vines between 40 and 80 years of age, mixed with roughly 30% Syrah from younger vines, and a tiny touch of Mourvèdre, all growing on limestone-clay soils. The hand-harvested and carefully sorted grapes, underwent a pre-fermentation cold maceration in small concrete tanks, before being macerated at room temperature for about 15-21 days, obtaining soft extraction. After Malolactic fermentation, the wine was racked from the stainless steel vats to concrete tanks where it was aged for 8 months on its lees. It was then bottled with no filtering nor fining, with minimal addition of SO2 during ageing and at bottling. The resulting wine possesses a bright, deep, ruby color leading the way toward a concentrated nose loaded with dark berry and cassis aromas mixed with inviting floral and earthy notes of Garrigues, violet and earth. The palate is balanced, earthy, deep, complex and Terroir oriented with explosive flavors of cassis, dark dried fruit, tar, earth and spices. The lingering finish is dark, earthy, and nicely framed with present yet integrated tannins. Overall, this excellent wine is generous, friendly and inviting and will pair well with Mediterranean dish and grilled meat. It is a great, accessible example of what Cotes du Roussillon has to offer. 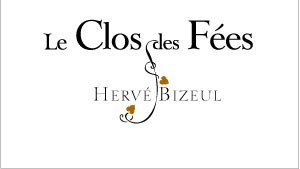 “Le Clos des Fées” is the Grande Cuvée of Hervé Bizeul, a superb wine made from a blend of equal parts of Syrah, Mourvèdre, Grenache Noir and Carignan Noir, hand harvested and carefully sorted from selected plots of hold hillside vines on limestone-clay soil. The vinification first occurred in new hogsheads of five hectoliters capacity, then after fermentation the wine was racked into new oak barrels (100% Saury, the name of the cooper) where the Malolactic fermentation and the ageing process took place. All operations such as pumping-over, racking and barrel filling are done by hands, without pumps. It was aged for 18 months on its lees and bottled unfiltered to keep maximum of flavors, intensity, texture and structure. 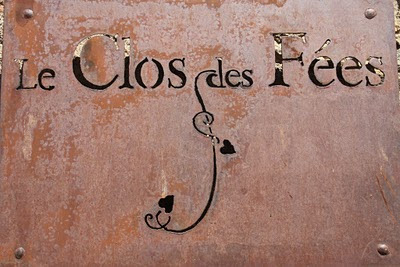 The resulting 2006 “Le Clos des Fees” exhibits a really deep, intense ruby color. The nose is extremely intense and expressive, with literally explosive aromas of cassis, blackberry, dark chocolate, pepper, spice intermingled with floral and earthy nuances. Definitely a beautiful, exhilarating nose that can keep me inhaling for hours. It is very “à propos” to say that certain wines will make you buy them simply by their nose, even if you didn’t taste them. If it smells that good, then it can only taste good, isn’t? Well, it is not always true, that is why tasting fully rather than relying mainly on the nose, is extremely important. Lucky for us, this wine is as good as and even better in the palate than it is on the nose. The palate is soft, integrated, expressive, juicy, extremely balanced and refreshing with great acidity and focus, despite the concentration and richness of the wine and the perfect ripeness of the fruit. It expresses intense flavors of ripe black fruit, spice, earth, tar, soil and Terroir expressions. It has been long since I drank a wine that great from the Roussillon. It is simply a superb wine that left me speechless. Walden, is a project of “Clos de Fees” owner, Hervé Bizeul, who, in collaboration with small family vintners, designed this affordable wine to showcase the potential of Roussillon’s old Carignan and Grenache vines. The vineyards consist of 6 hectares of vines planted on hillside in a wide variety of deep surface soil with mainly clay, in the foothills of the Pyrenees Mountains. They created an intermediary solution between a ‘cooperative’, wine merchant and private domain to help support local vine-growers and make fair trade possible for small producers. The partners collaborating in the alliance all have a strong cultural know-how and undeniable passion for their craft. - Providing clear and honest information to the wine enthusiast. In 2004 three vine-growers joined the program and provided part, if not all their production. One was an old member from a local cooperative who, with his wife, contributed 6 hectares (14.8 acres). And the other two are vine-growers who recently established their own winery but whose wine-making facilities don't allow them to process their entire harvest. Hervé Bizeul and his team provided them with the technical support needed to properly tend their vineyards, using the AOC regulations as guideline. The system is based on trust, each participant understanding their craft and taking their own responsibilities; barely needing Herve’s team to intervene. The date and method of harvesting as well as the wine making process were decided by Hervé Bizeul, with the help of one of today’s best wine expert Athanase Fakorellis, who worked unpaid on the project. In the autumn of 2004 and 2005, the first vinifications took place in an old cellar, in the heart of the little village of Vingrau, in large hundred years old concrete vats, with limited technology but with a lot of thinking, patience, care, if not to say, love. The result was a delicious 2004, highly praised in the Revue du Vin de France, June 2004 issue, sold-out now, and then a delicious 2005. Although under the supervision of Herve Bizeul, also produced and bottled by him and his associates in Vingrau, “Walden” is a project aside of “Clos des Fées” to wish it is too often associated. Named in homage to Thoreau, this excellent Cotes du Roussillon value wine is the fruit of hard work and devotion to the cause of helping local growers, from a group of persons who put their love for the region and their savoir-faire together to craft an affordable, accessible and surely one the best example of what Roussillon has to offer in this price range. The different grapes varieties for this wine came from old vines planted on both deep and surface soils of mainly clayey limestone, schist and granite composition. The wine underwent pre-fermentary cold maceration in concrete tanks, with daily pumping-over and was then aged for 8 months in stainless steel tanks on fine lees. A blend of 30% Carignan Noir, 30% Grenache Noir, 30% Syrah and 10% Mourvèdre, the 2007 Walden Côtes du Roussillon Rouge possesses a deep, concentrated ruby color. The nose displays attractive aromas of juicy blackberry, cassis, raspberry and black pepper, with earthy hints of Roussillon Terroir, Garrigues violet and purple flowers. The palate is very balanced, crisp, fresh and crunchy with very good acidity that carries and put into focus the freshly crushed red and dark berry flavors. The finish is really inviting and Terroir driven with vibrant berry flavors and spicy, earth notes. A delicious, lively and youthful red wine that will complement pretty much all grilled meats and Mediterranean dishes served with grilled or stewed vegetables, around a table, on top of a hill or not too far from the Sea, protected from the cold Tramontane by a bonfire on pretty much any night of the year, appropriated for immediate consumption despite that fact that it has the guts and profile to support and benefit from a bit of bottle ageing. In short and to resume, these 4 wines were extremely good and highly recommended. I hope one day to have the chance to go back to Roussillon to visit Hervé Bizeul and have walk with him in his vineyards to fully comprehend and still be amazed by how, when climatic conditions, ideal soil composition and human perseverance and savoir-faire meet, such fantastic results can be achieved. One day, I would love to do the same, making great wines. Merci Hervé pour tes vins!